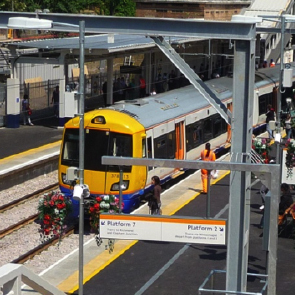 We assisted London Rail in developing a scheme for upgrading the stations on the North London Line. The work has been carried out in two stages. During the first stage, we reviewed the current state of individual stations, patronage and other works proposals, including enhancements required for the 2012 Olympics and developed a station upgrade strategy, prioritising those stations with high patronage and poor existing conditions. The second stage of the work consisted of the development of a single option design for one of the high priority stations including the management of key interfaces with the Local Authority, Network Rail and the Station Facilities Operator to gain all required consents and approvals. This included the management of a Permitted Development application for planning approval from the Local Authority. We also managed the production of the Cost and Risk Report, Delivery Programme, Hazard Register and other information required to form part of the procurement package for implementation delivery. We provided procurement advice and undertook stakeholder management on their behalf.